Poised n Polished | Listen Free on Castbox. Have you noticed we've somehow all started dressing the same? Let's change that! Discover independent fashion and beauty brands and hear Esta Fiesta's thoughts on current industry events. It's Sephora Beauty Insider Sale time! Sephora's Beauty Insider sale kicks off on May 2 (or April 26 if you're VIB Rouge!) and now that our tax returns have come in its the PERFECT time to start putting together our shoppings lists! I'm breaking down the three categories you should split your purchases into and telling you how to decide which products to skip this go 'round. Follow @PoisedPodcast on Twitter and Facebook and use #PoisednPolished to continue the conversation! Follow Esta Fiesta on Instagram and Twitter Sign up for the newsletter and visit poisednpolished.com for a complete list of past episodes and resources and visuals from this episode. Spring is taking a little time to get here, so we’re gonna use this time to prepare! In today’s episode I’m sharing four ways you can start getting ready for warm weather NOW. I’m also sharing four spring trends you’ll want to explore. DIY pedicure products I mentioned: Kiss Pedicure Kit Lush Cosmetics Volcano Foot Mask Bath & Body Works Shea It Isn’t So or Bath & Body Works Mentha Tingling Foot Cream The Best Moisturizing Socks for Dry Feet Skincare products I mentioned: Youth to the People Superfood Cleanser Glow Recipe Watermelon Moisturizer Origins Charcoal Mask Listen to “Lets Purge Our Closets” for the best tips and tricks for Marie Kondoing your wardrobe so that it only includes items which spark joy! Follow @PoisedPodcast on Twitter and Facebook and use #PoisednPolished to continue the conversation! Follow Esta Fiesta on Instagram and Twitter Sign up for the newsletter and visit poisednpolished.com for a complete list of past episodes and resources and visuals from this episode. In Part 2 of my conversation with Lori Tharps we're talking about Black men's relationship with their hair, barbershops, and so much more! Read Lori's book: Hair Story: Untangling the Roots of Black Hair in America. Check out Lori’s website: https://myamericanmeltingpot.com/ Find Lori Tharps on Twitter @LoriTharps or Instagram @myamericanmeltingpot Listen to Lori’s podcast: My American Meltingpot: Follow @PoisedPodcast on Twitter and Facebook and use #PoisednPolished to continue the conversation! Follow Esta Fiesta on Instagram and Twitter Sign up for the newsletter and visit poisednpolished.com for a complete list of past episodes and resources and visuals from this episode. Happy Black History Month! I know this one has been crazy so far so I’m bringing you a more pleasant story to talk about : the history of African American hair! Lori Tharps joins me to discuss her book Hair Story: Untangling the Roots of Black Hair in America. In part 1 of this conversation we’re talking about how current attitudes toward black hair compare to historical attitudes about hair. Lori’s also talking about her personal experiences with hair, growing up in an all white environment and relocating to blacker spaces. Check out Lori’s website: https://myamericanmeltingpot.com/ Find Lori Tharps on Twitter @LoriTharps or Instagram @myamericanmeltingpot Listen to Lori’s podcast: My American Meltingpot: Follow @PoisedPodcast on Twitter and Facebook and use #PoisednPolished to continue the conversation! Follow Esta Fiesta on Instagram and Twitter Sign up for the newsletter and visit poisednpolished.com for a complete list of past episodes and resources and visuals from this episode. Esta Fiesta chats with Mariam Mouna Guessous of I See You Wellness and Suanny Upegui of Casa Finca about beauty from within. The two wellness experts and creative entrepreneurs are sharing tips for achieving beauty from within! In this episode we discuss Moroccan black soap, the connection between your diet, geographical location and beauty, letting your spirit pick your fragrance, holistic ways to strengthen your nails and more! Find Mariam at I See You Wellness and on Instagram Find Suanny at Casa Finca NYC Follow @PoisedPodcast on Twitter and Facebook and use #PoisednPolished to continue the conversation! Follow Esta Fiesta on Instagram and Twitter Sign up for the newsletter and visit poisednpolished.com for a complete list of past episodes and resources and visuals from this episode. Of course we’re kicking off 2019 with our beautylutions for the year, but first I’m giving a recap on last year’s results! LINKS: Favorite skincare products: Superfood cleanser Origins Clear Improvement Active Charcoal Mask Orly Nail Defense Nail Strengthener Vegan Nail Brands: Zoya Black Dahlia Lacquer Julep Follow @PoisedPodcast on Twitter and Facebook and use #PoisednPolished to continue the conversation! Follow Esta Fiesta on Instagram and Twitter Sign up for the newsletter and visit poisednpolished.com for a complete list of past episodes and resources and visuals from this episode. It's party time! Ohhhhh it's parrr-tay time! Gonna have a (office holiday) par-tay!! Who else just realized the office holiday party is just days away and you haven't gotten your outfit together? Don't worry boo, you know I got you! On this episode I'm sharing tips on how to figure out what to wear to your office holiday party, regardless of if your office dress casual or conservative and if the party is at a fancy nearby hotel or being held in the big conference room. Of course I also took into account whether you like to dress masculine or feminine - any guesses which style requires less effort? Before you order an inappropriate dress take a few minutes to listen to this podcast so that you don't waste your time, money, or office reputation! Links: Searching for a cocktail dress? Try Lulus Need a festive but inexpensive tie? Try The Holiday Shop at The Tie Bar Looking for a cheap Santa hat? Try Party City Follow @PoisedPodcast on Twitter and Facebook and use #PoisednPolished to continue the conversation! Follow Esta Fiesta on Instagram and Twitter Sign up for the newsletter and visit poisednpolished.com for a complete list of past episodes and resources and visuals from this episode. Today I'm sharing some simple tips for decorating your home! I'm teaching you how to brighten up a space that doesn't get much sunlight, maximizing space with multi-tasking items, and what to do about wall decor. Follow @PoisedPodcast on Twitter and Facebook and use #PoisednPolished and #PodIn to continue the conversation! Follow Esta Fiesta on Instagram and Twitter Links: Benjamin Moore Chantilly Lace White Paint Glass wall shelves from The Container Store String Lights Mirrored Console Table Sign up for the newsletter and visit poisednpolished.com for a complete list of past episodes and resources and visuals from this episode. It’s a Poised n Polished first - I’m talking to a makeup artist! Sephora Account Executive Lauren Alayne joins me to talk all things makeup, including how much makeup we tend to wear on vacation, how to deal with makeup shamers of any gender and what makes people gravitate towards a particular MUA. Lauren is also answering a few listener questions! She’s sharing her thoughts on IG MUAs, how to get long lashes without falsies and how often you should switch out your beauty blender. In keeping with my beautylution I got Lauren to share her current skincare routine. Get your Sephora budget in order because she mentions A LOT of products! LINKS: Want to see Lauren’s work? Check out Lauren’s IG. Inquiring about her services? Check out Lauren’s website. Products Lauren mentioned (if you are shopping these products online use eBates to get cash back! ): Sephora Collection 'Hollywood’s Calling' Eyeshadow Christian Dior Lash Primer Lancome Lash Primer Sephora Eyelash Primer Sephora Collection Triple Action Cleansing Water Shiseido cotton rounds Clarisonic First Aid Beauty Cleanser Neogen Exfoliating Pads Sunday Riley Good Genes Serum Sunday Riley CEO KORA Eye oil Sunday Riley Tidal Tatcha Water Cream Kiehl’s Avocado eye cream Follow @PoisedPodcast on Twitter and Facebook and use #PoisednPolished to continue the conversation! 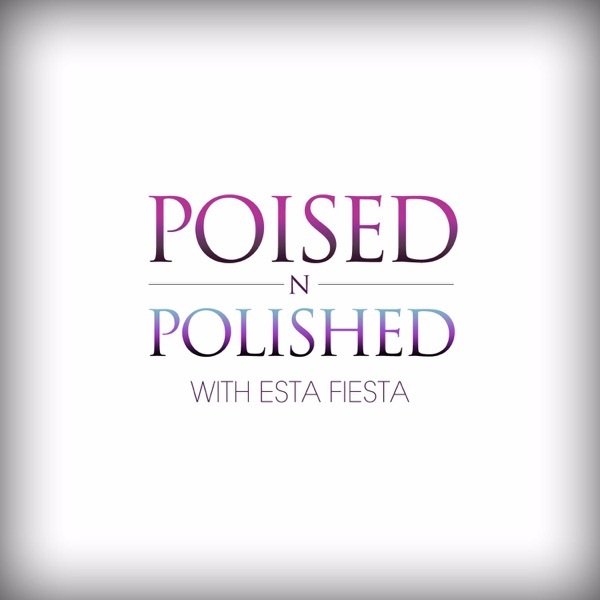 Follow Esta Fiesta on Instagram and Twitter Sign up for the newsletter and visit poisednpolished.com for a complete list of past episodes and resources and visuals from this episode. Which one of you prayed for fall so they could get these fits off? I'm sharing my favorite trends that you should try out if you really want to get these fits off this fall! I'm also breaking down NYFW. Not how it went but what it is. Is fashion week a professional event or just an over priced party? I'm breaking down why it exists and what the purpose of all those celebrity filled parties are REALLY about. Check me out on Bri Books Podcast! I'm chatting about fashion, fashion magazines and of course... Beyonce! Follow @PoisedPodcast on Twitter and Facebook and use #PoisednPolished to continue the conversation! Follow Esta Fiesta on Instagram and Twitter Sign up for the newsletter and visit poisednpolished.com for a complete list of past episodes and resources and visuals from this episode. It's Almost Fall So We Can REALLY Start Dressing!